I know there is a lot going on in our industry and I can understand that some current trends are a bit daunting. One of the hot topics in hearing healthcare is “self-adjustment”. We see it in smartphone apps which transform a smartphone into a pocket hearing aid. We also see it in PSAPs and Hearables, which without individualization cannot really benefit the user. 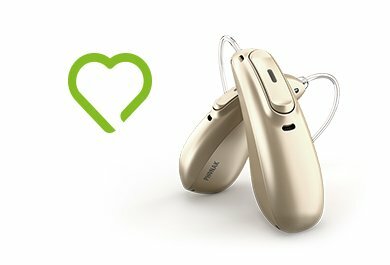 Some hearing aid manufacturers have even started to add self-adjustment-like functionalities to their products. The question is, will self-adjustment replace what hearing care professionals do today? My strong opinion is —and I have a lot of reasons for this— that self-adjustment will increase user satisfaction and extend ability for hearing care professionals to expand their services beyond the current limits of an appointment at the clinic! Why? Because it is the ideal completion to what your customer can only get from a qualified hearing care professional — state of the art hearing and needs assessment, in-depth individualized counselling (regarding needs, solution options, accessories, expectations, prices, brands), individualized product selection and configuration, prescriptive fitting and initial fine-tuning. To complement all of the services that only you as a hearing care professional can offer, ‘self-adjustment’ can be added. How could adjustments done by the user outside of your clinic add value to your services? First, I believe that fine-tuning hearing aids in the clinical setting is restrictive because it’s not a real-world listening environment. Second, I believe (and I hope you don’t mind me saying so) that fine-tuning without having the daily experiences of each hearing aid wearer in their multitude of different hearing situations (not to mention their personal preferences) makes it almost impossible to individualize. Think of the user having a conversation in a restaurant, reading a book in public transportation, listening to the radio in the car or to music in the concert hall. Be honest. It can be difficult to precisely know what your customer prefers in all these different listening situations. With self-adjustment, you can let them determine the best combination of settings for better hearing in each situation. By the way, there are incredibly more kinds of listening situations than the said ones. Imagine the benefits of your customer doing the refinements to the better hearing offering which you have created in the clinic. This combination – where you provide the foundation of better hearing adjustments in the clinic and your customer refines it in real, everyday life – can be very, very powerful. The said pocket hearing aids, the PSAPs and the Hearables will have a hard time competing with this individualized solution. And this is what we want — the best hearing experience possible for our customers. There is also another aspect to consider. Your customer can start the self-adjustment-like procedure before leaving your clinic. For adjusting settings like loudness, timbre and signal dynamics, hearing care professionals can offer good representative sound recordings and optimally designed interactive adjustment handles. This way, your customer can start the adjustments while under your professional eyes. This has a big, big advantage. You can coach your customer how to do self-fitting. You can instruct him or her to explore the parameters before deciding on a setting and to take time for this exploration. You know what? Most customers don’t think they are able to do a self-adjustment, whereas they actually are able to do it. They simply don’t know it yet. What a pleasure for them when you have shown them how. You will be their hero! But, maybe we should refer to it differently. A colleague proposed the name “team fitting”. You and your customer are the team! In addition to the audiological advantages, there is a big psychological one. Your customers will feel empowered. By strengthening their self-efficacy, they will be more powerful partners in maximizing their individual hearing health. I understand that this may not be a solution for all of your customers —as some may not be able or simply don’t want to do it— but I am confident that quite a few of your customers will like it and actually contribute to their successful hearing solution! If you have experiences with self-fittings that you would like to share, please include them in the comments section below. I like the term “team fitting”, and think “patient-centred fitting” would also be appropriate- isn’t this one example of being truly patient centred? You are totally right! Yes it is truly patient-centred! Thanks for the hint! Michael received his doctoral degree in psychology (specializing in perceptual psychology and psychophysics) and worked at the Psychological Institute at Würzburg University for ten years. 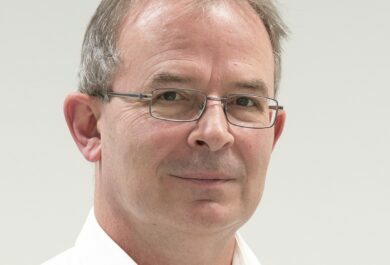 In 1997, he joined Phonak as an audiological consultant and trainer, then worked in Phonak’s Research and Development department developing new fitting software functions. Since 2005, he has managed a research program on fitting methods and audiological measures at Sonova AG.